Created in the 1960s from the rich tradition of Japanese martial arts, Shintaido presented itself as an avant-garde body movement opening esoteric practices to the general public. The vast, soft and very free movements of its basic practices are still typical of these origins. Since then, however, these movements have been redesigning Shintaido’s subsequent martial arts such as free-hands technics (Karate, Nagewasa), sticks fighting technics (Bojutsu / Jojutsu), sword technics (Bokuto , Boken and Shinken) and inner meditative techniques. Each of these constitutes now-a-day a modern martial art in its own right, yet hyperlinked with the others by specific and significant connections; the whole assessing a truly holistic nature. 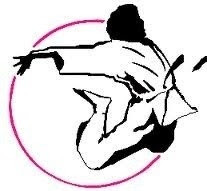 The Shintaido disciplines are practiced by organisations in Japan, Europe and the United States mainly. At international level, instructors gather into the International Shintaido Project.